What Would you do if you Have a Car Accident? Car Accidents – What Should I Do If I Have One? Being involved in a car accident can disrupt a person’s sense of safety, especially if someone is injured and needs the assistance of a personal injury lawyer. As a car accident lawyer, I have found that many people do not know what to do when an accident happens but the actions they take immediately following an accident are important. Lawyers who represent people injured in car accidents stress the importance of staying calm, then doing a few simple things that will help when later dealing with insurance companies. It is always best to make sure the police are called to investigate the collision and make a report. I have several recent examples of clients who trusted the other driver when they admitted fault at the scene of the collision only to change their story later when they are talking to their insurance company. If no police are called and no report is taken, it is your word against the other driver and a lawsuit is often required to sort out the liability issues when a simple police investigation and report could keep you out of court when the liability or fault of each driver has been determined by the police. The police officer can then later be called at trial to discuss – independently – what their investigation showed and why they found the other driver to be at fault. If the police are called, it is also a good idea to exchange personal and insurance information with the other driver; get the license plate number of the vehicle as well as the names and contact information of all people who witnessed or were also involved in the accident. Just because a witness spoke to you or offered help does not mean that the will wait to speak with the police office and may leave the scene of the accident as soon as they see police arrive. Therefore, it is necessary to get the names and numbers of all witnesses. Finally, take photographs of the vehicles involved in the accident that shows damage and how the vehicles were situated on the road. As a personal injury lawyer, I know that a police report does not always include all the information needed when filing an accident or personal injury claim. Serious injuries received in a car accident usually require immediate medical help; however, even if you feel that you are not seriously injured, seek medical attention. What may seem like a minor injury on the day of the accident can become much worse the following day or weeks. It is important to be examined by a doctor immediately following the collision to document an injury resulting from that specific auto accident. From my experience as a car accident lawyer, I know that insurance companies look for any way possible to reduce or get out of paying a claim. Failure to seek immediate medical care after an accident can be used against you later to deny paying an injury claim. While it is important to open damage claims with insurance companies for all drivers, I urge injured claimants to be cautious when doing so. Do not sign any medical authorization forms or give any kind of recorded statement before first consulting with an experienced injury lawyer. Insurance companies are notorious for making an offer of payment early in the process. I advise injured parties to avoid accepting any initial payment and let their attorney speak for them instead. As a practical matter, you will likely not know the extent of your injuries until weeks or months down the road from a collision. I have had many clients tell me how glad they were that they did not accept the low amount offered because they ended up needing surgery or their injuries were far more serious than they realized. When an auto accident is more than just a minor fender-bender and someone has been more seriously hurt, seek the help of an experienced car accident lawyer as soon as possible. 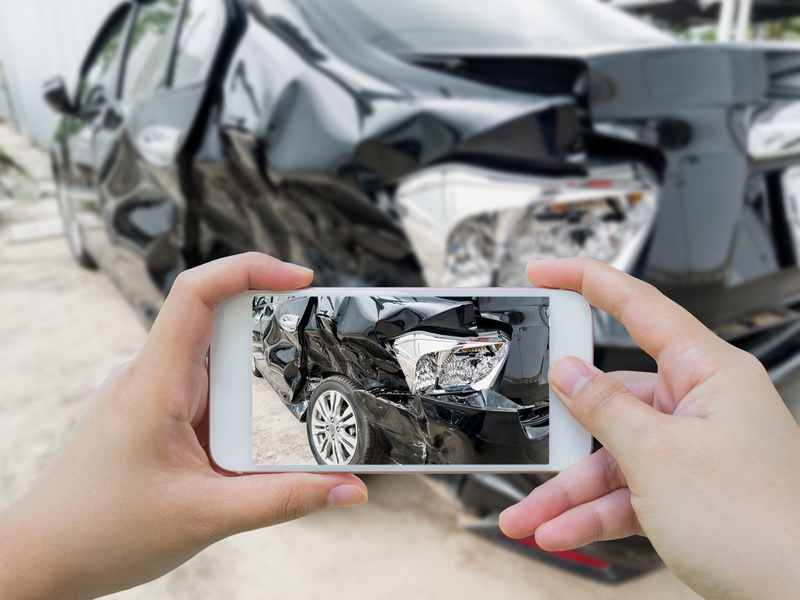 Car accident claims have a statute of limitations in New Mexico, so it is important to discuss the incident with a personal injury lawyer as soon after the accident as possible. Once the period for filing an injury claim has passed, an injured victim may not be able to obtain compensation for their injuries. No one wants to be involved in an auto accident, let alone injured when it is not their fault. If that should happen to you, knowing what to do immediately following an accident is critical. As a car accident lawyer, I strongly urge anyone injured from a collision to gather essential information if possible, then immediately seek medical attention. After receiving medical attention, contact an experienced personal injury lawyer who can help you file a claim. Working with an experienced car accident lawyer is an important part of seeking compensation allowed under New Mexico law for any injuries received in an automobile accident.